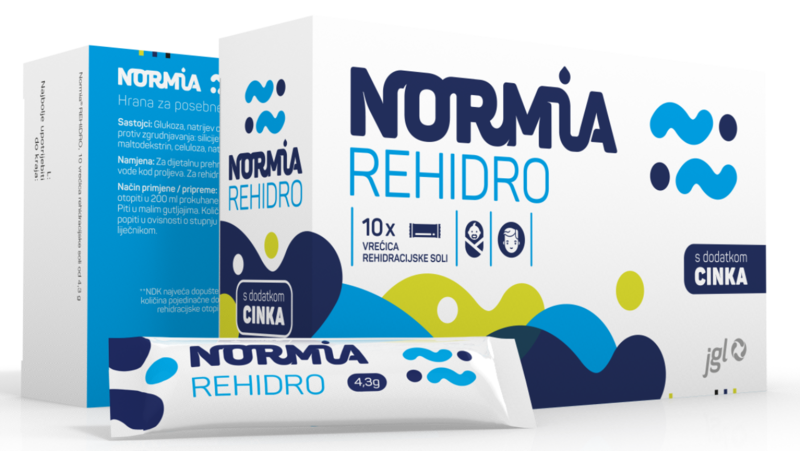 Normia Rehidro contains an oral rehydration salt used to rehydrate and replenish electrolytes in cases of dehydration caused by diarrhoea, vomiting or increased body temperature. The composition of Normia Rehidro complies with global paediatric guidelines (ESPGHAN and WHO), while the added zinc helps the organism recover more quickly. The product does not contain preservatives, artificial colouring or sweeteners, and has a neutral flavour. Suitable for infants, children, and adults.